A multi-stakeholder gathering to move the agenda forward. 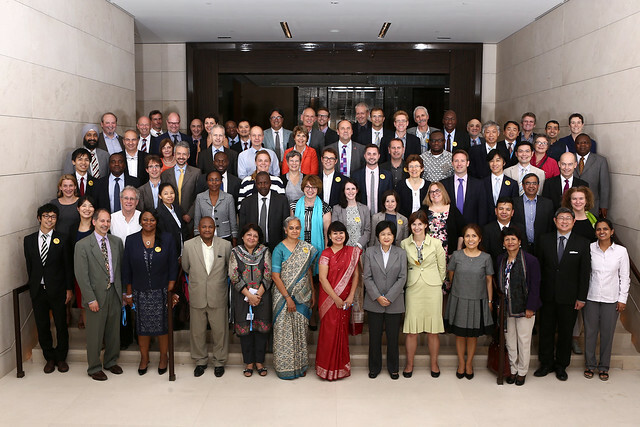 The 'IHP for UHC 2030' multi-stakeholder consultation took place on 22-23 June. Following unanimous agreement for transformation by all IHP+ partners, a broad range of stakeholders gathered for this two-day consultation meeting. Over 100 representatives from low-, middle- and high-income country governments, civil society organisations, international agencies and institutions, private sector and research institutions converged to explore key issues. The two-day consultation process was a critical stage in transforming IHP+ and explored the strategic direction and scope of work of UHC2030. Stakeholders discussed UHC2030’s role in advocacy both globally and locally, and how it can be a broker for sharing experience, lessons learnt and good practice in effective development cooperation, health systems strengthening and making progress towards UHC. There final report is available here and you can find all the presentations below. If you missed the live broadcast online, you can still watch the film of each day. Filmed recording of meeting Day one and Day two. You can also look at our Twitter account and Tweets throughout the two days. Session 6: Multi-sector aspects of UHC. The broader context and the potential role of UHC2030. Please see more information about the transformation of IHP+ to 'IHP for UHC 2030' here.